Welcome to Slow Village, the ﬁrst eco-friendly village in France. 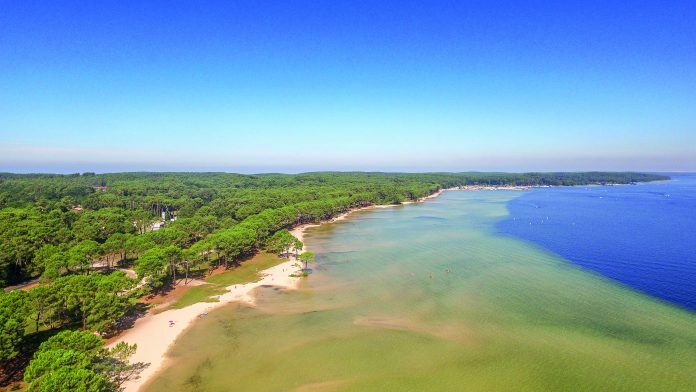 Located an hour from Bordeaux on the shores of Lake Biscarrosse, it is a stone’s throw from the ocean and the Dune du Pilat, in the heart of the Landes forest. At Slow Village, getting away from it all is a way of life! This new kind of holiday resort, which is inspired by “slow tourism”, oﬀers guests the opportunity to disconnect for the duration of their stay. 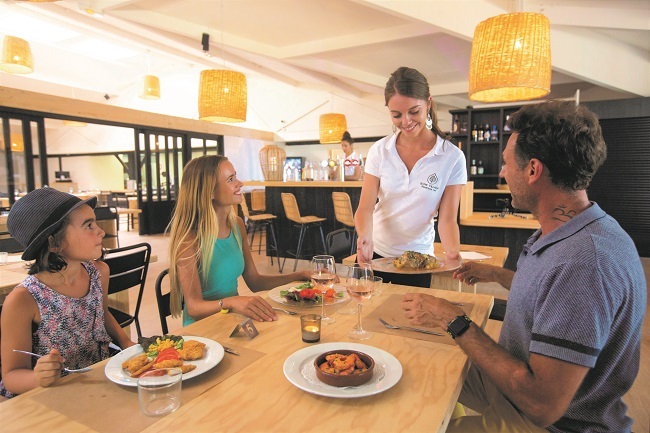 A cross between chic camping and a nature holiday village, it combines the top-of-the-range services you’d expect from a hotel stay with the friendly spirit of camping and the philosophy of slow tourism. At Slow Village, you’ll have plenty of room. 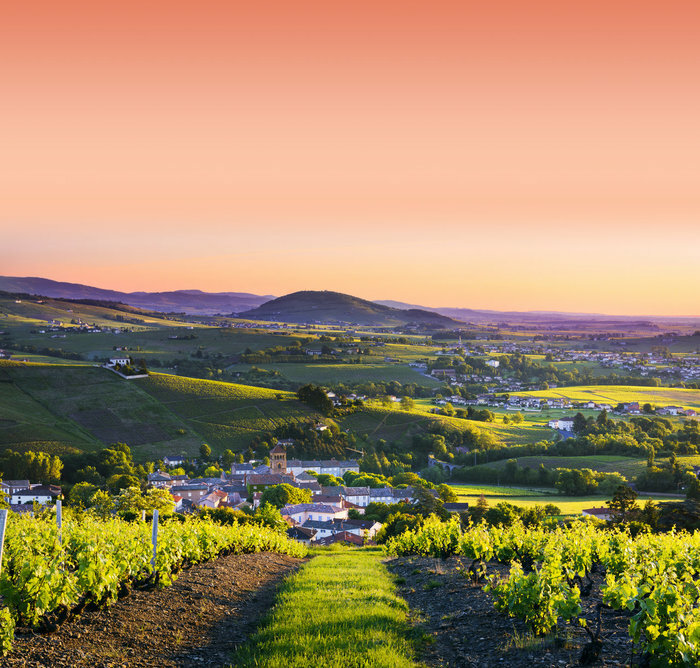 With just a hundred accommodation options over an area of 14 hectares, each dwelling has a large space all to itself. The design of the cabins and cottages is inspired by their surroundings, with natural materials used throughout. Each is equipped with top-of-the-range facilities and enjoys privacy. 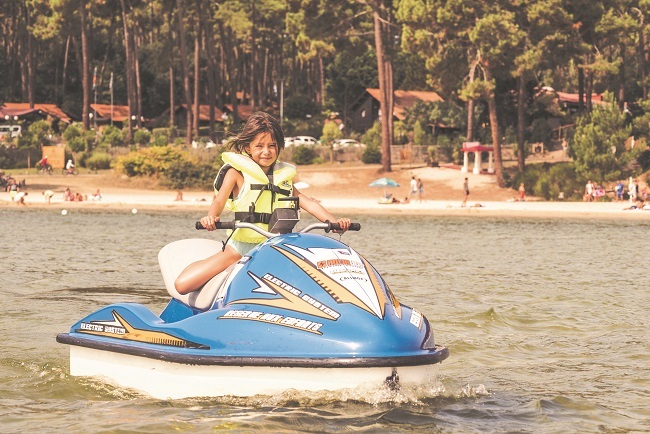 Slow Village Biscarrosse Lac is entirely pedestrian-friendly and boasts a tailor-made hotel service with valet parking (in electric golf buggies) as well as quality sports facilities, including a clay tennis court and a padel (racket sport) court. At the heart of the site, you’ll ﬁnd Casa Bisca, a concept restaurant. Comprising a restaurant with a terrace by the lake, a panoramic bar, a gastro pizzeria and a delicatessen, it serves up cuisine made with love – and fresh locally-sourced ingredients. A strong commitment to the environment is part of Slow Village’s DNA. Firstly, through the way it has been designed in harmony with the landscape; and secondly, through responsible waste and energy management. At Slow Village, everyone is encouraged to respect their natural surroundings. Living to the rhythm of Slow Village means, above all, being free. Everything is done here to break with the frenetic pace of modern life. So choose from total idleness, Zen or sports activities; enjoy creative workshops or cultural discoveries… the world is your oyster. 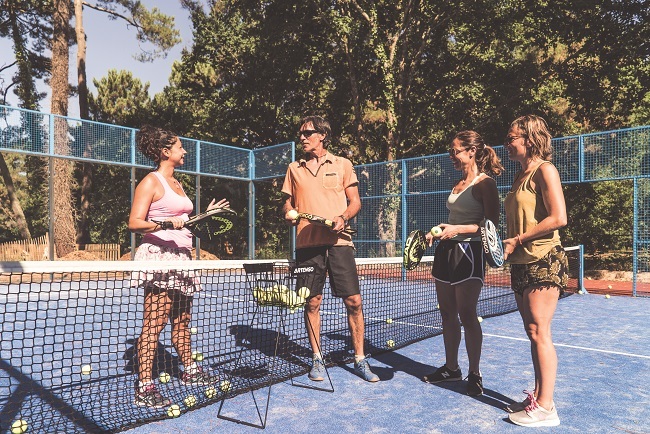 At Slow Village, there are no noisy zumba sessions or aperitifs, but yoga sessions on the lake for early risers, cultural excursions, cooking classes or DIY workshops for the whole family! Looking to get away from it all and recharge on an exceptional site? Love natural, eco-friendly materials? Ready for a “slow” break packed with activities in a natural and friendly setting? 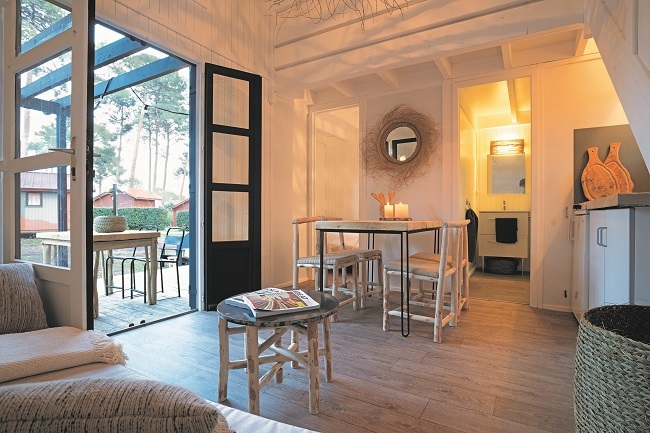 Welcome to Slow Village Biscarrosse Lac. Welcome home.